Choosing carpet is like choosing a car and with all the styles, colors and brands. It can be confusing. Being overwhelmed and under pressure from a salesperson can result in a bad choice being made. Purchasing carpet can be one of the largest investments you’ll make in your home. If you want the carpet you choose to fit the needs of your family, you need to do a little bit of homework before you start shopping. You’ll feel much more confident in the decision you make by doing so. Don’t rely only on what salespeople will tell you. You need to handle the carpet and check the label to look at the three signs of quality. Face weight is the number of ounces of fiber per square yard. This number will usually range from 20 to 80 with a higher number being more resilient and heavier. Choose a carpet that is at least 34 to 40 ounces in face weight. Tuft twist is the number of times the tufts are twisted together in a 1 inch length. Higher numbers indicate a more durable carpet, so choose a carpet with a tuft twist of 5 or higher. The density rating is determined by how thick the fibers are and how tightly they are packed. Better quality carpets are less likely to be crushed. To check for this, you can bend the carpet back. If it’s easy to do, it’s a low-density carpet and therefore lower quality carpet. If you have small children and you’re in the market to replace or install carpet in your home, there are things you should take into consideration. You want the carpet to be soft and comfortable for them to walk and play on. Look for practicality because small children can be hard on carpet. It’s important to choose a carpet that is not only durable, but stain-resistant to make clean up easy. Consider allergy issues too. Natural fiber carpets are a great choice for homes where children or other family members suffer from allergies and breathing ailments. Natural carpets like wool are hypoallergenic and antimicrobial but can be expensive. Comfort should count too. Carpet will be the flooring that a baby learns to crawl on and a toddler uses to take their first steps. Those little bare feet will be safe on soft, plush and comfortable carpet. There’s also less fear that they will hurt themselves and playtime will also be quieter on soft carpet. Nylon carpet is the most durable, resilient and easiest to maintain. Once you’ve considered all your options, think about the room in which the carpet will be in. The carpet needs to fit any changes the room will go through in the coming years. This will help you decide on the colors and patterns of the carpet. Take your time instead of being impulsive and choosing the first color you like. You will be much happier with your decision in the long run. Make your choice based on who lives on the home, the levels of traffic it will be subjected to and how long you want it to last. The way it looks and how much it will cost all need to be researched before making your final decision. You can rely on Leading Carpet Cleaning to keep your carpet looking its best after its been installed. 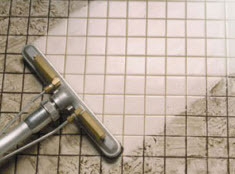 Contact us when it’s time to have it cleaned! There are some families that think that professional carpet cleaning is not a good idea if you have a small baby. The baby is often times laid on the carpeted area and allowed to roll around and play. They believe that the chemicals that are used in carpet cleaning are too harsh for a baby or someone that has sensitive skin. The statement that carpet cleaning solution is harsh is just not true. The cleaning products used over ten years ago were much harsher than they are now. Most companies have moved away from harmful chemicals and choose to use a more green and ecofriendly cleaner. Another great advancement in carpet cleaning are the tools and equipment that is used. The tools are able to get out stains with minimal cleaner and little water. They are also able to remove the excess water leaving the carpets nearly dry. When it comes to carpet cleaning it is not harmful for any member of your family. On the contrary leaving your carpet uncleaned is actually what can be causing trouble to your household. Carpet Can Have Beetles: Did you know that there is a pest that is strictly a problem for carpet fibers? It can be rugs or a carpeted room. They are called a carpet beetle and they actually eat through the fibers of your carpets. This can leave a bald patch on the carpet which is bad for it. You may be wondering why this is bad for you as a person. The fact is that a carpet beetle does not have a mouth that is able to pierce a person’s skin so bites are not the problem. The issue is for any person that suffers from allergies or asthma. The beetles will shed off their exoskeleton and that can easily become part of the air in your home. These particles act as an irritant to anyone especially those that have allergies and asthma. The best way to get rid of carpet beetles is to have your carpets cleaned on a regular basis. The heated water and suction will remove beetles and keep them from getting too infested. Carpet Germs & Bacteria: If anyone in your home has been in sick in the last month, your carpet is still sick. The germs from a cold or a flu are easily able to live for up to 30 days on the carpet fibers. The carpet is home to germs and that means that every time you lay on the ground or you run your hand on the carpet you are potentially infecting yourself with the same germs you thought you got rid of. Long after that cold and long night of coughing, the germs remain. The best thing that you can do is to have the carpets and rugs cleaned professionally. The cleaning service will help to kill off any germs that are trying to live on the carpets. 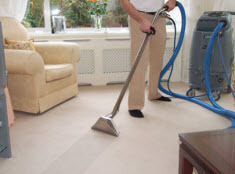 Leading Carpet Cleaning offers professional carpet cleaning and related services. Contact us to schedule your next appointment for floor and upholstered furniture cleaning and restoration. What causes rust stains on carpet? Rust is made up of tiny iron particles. These tiny particles can be driven deep into the fibers of carpet, making it difficult to remove. Rust is a common stain on carpets and can be caused by leaky windows, wet toys or furniture and other sources within the home. To get the best results it is important to be patient when trying to remove them. If you find rust stains that are wet, it’s best to allow the stain to dry completely. After it’s dry, you can use a scraping tool like a dull butter knife to remove any extra rust that will flake off. The more you can get off before you attempt cleaning it, the higher your chances are at removing it completely. Take care when doing so to prevent damage to the carpet by pulling the threads or snagging the carpet fibers. Snagging Berber carpet can be detrimental to your carpet as it can cause a long unraveling throughout the whole room. Take your time and be gentle. The next step can be done a few different ways. To determine which one will work best for your carpet, you should test a hidden area with the different cleaning agents to see if they will cause bleeding or unintentional discoloration. 1. Mild detergent mixed with water. Just make sure the detergent contains no alkalis and always use cool water as hot water can set stains, making them more stubborn. Anti-bacterial versions of detergent should also be avoided and look for ones free of color for better results. Use a clean cloth and blot the stain making sure you don’t rub it until you see it lifting. Rinse the sponge as often as needed to keep the water clean. If you aren’t successful, you should allow the stain to dry and ty another method. 2. Lemon juice can be a stain remover. Blot the stain with the clean part of a white cloth. If there’s still rust, take a mixture of lemon juice, white vinegar and salt or cream of tartar. Get it to the consistency of toothpaste and apply it directly to the rust stain. Allow it to sit for a few hours and blot it with cool water and a towel. 3. Rust stains can also be treated with vinegar. Use a generous amount and apply it directly to the stain and allow it to penetrate. After a few hours, you’ll know whether or not it has worked. Blot as much of it as you can to see it any more of the rust will come up. You can apply a little lemon and water mixture to eliminate the smell of vinegar if it’s too strong. With any stain its always best to act quickly. The longer it sits, the harder it will be to remove. If after all these attempts, you still have a rust stain present you may need the services of a professional. Rust stains are very difficult to remove because it’s the result of a chemical reaction in nature. If rust comes into contact with carpet, the result is an ugly stain. 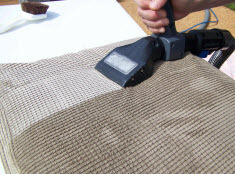 Contact the professional at Leading Carpet Cleaning for our expertise at stain removal.